Update, Dec. 2017: We’ve followed up on this post to reflect three more years of data. 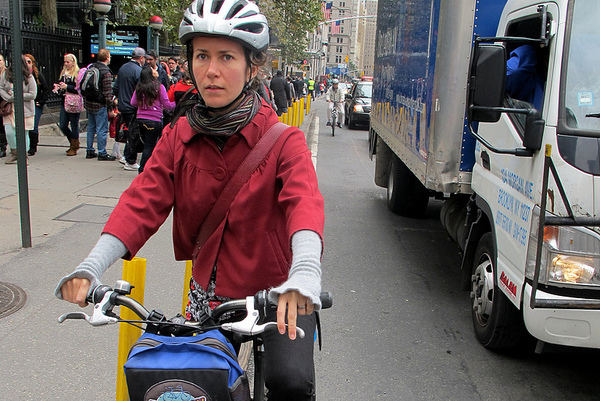 The Governors Highway Safety Association released a report Monday that, the organization claimed, showed that the ongoing surge in American biking has increased bike fatalities. Transportation reporters around the country swung into action. “Fatal bicycle crashes on the rise, new study shows,” said the Des Moines Register headline. “Cycling is increasing and that may be reflected by an increase in fatal crashes, the report said,” wrote NJ.com. “Bike riding, particularly among urban commuters, is up, and the trend has led to a 16 percent increase in cyclist fatalities nationwide,” reported the Washington Post. 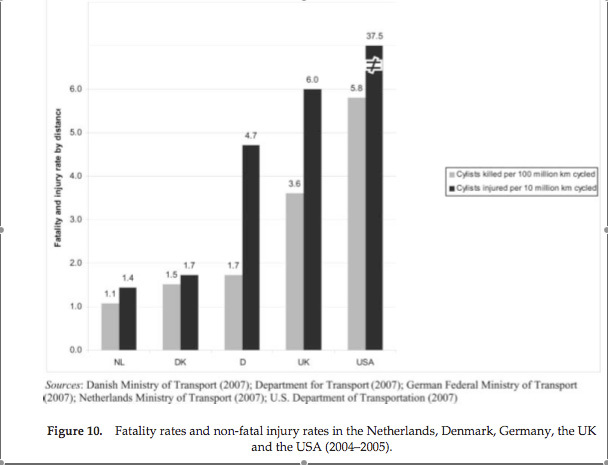 Bike fatalities are a serious matter, especially in the United States, which has dramatically higher rates of injury and death on bikes than other rich countries. So it’s especially troubling that the main thrust of this report, commissioned by an umbrella organization of state departments of transportation, is complete baloney. It’s true that the number of bike fatalities nationwide has increased over the last two years, from 621 in 2010 to 722 in 2012. As the report notes, that’s cause for concern — though it’s nothing new. The report neglects to actually present its data in context, but if it did it’d be obvious that the absolute number of U.S. bike fatalities has been on a very gradual decline. Put those figures together, and what’s actually happening is that for an infinitesmal fraction of the cost of the nation’s transportation system, Americans are enjoying a couple billion more bike trips every year than they were a generation ago. And because Americans are also learning to keep an eye out for bikes while they drive, every single bike trip is far, far safer than it was. Meanwhile, somewhat confusingly, the GHSA has been holding forth on Twitter that bike fatalities are unimportant. Reporters and editors treat the GHSA with respect because it describes itself as “The States’ Voice on Highway Safety.” State officials who are interested in helping their residents safely enjoy the benefits of biking might want to consider whether, on this issue, the GHSA is actually speaking for them. The Green Lane Project is a PeopleForBikes program that helps U.S. cities build better bike lanes to create low-stress streets. You can follow us on Twitter or Facebook or sign up for our weekly news digest about protected bike lanes. Story tip? Write [email protected] Bottom photo by Christopher Porter.